The SIPA | WHAT IF FINRA REGULATED WASHINGTON? Hillary Rodham Clinton (Crd # 098765) was fined $100,000 and prohibited from associating in any capacity for a period of 2 years for not complying with e-mail archiving rules. Ms. Clinton failed to properly store, maintain and archive her emails in a non editable format that is on a secure server with SMARSH or other leading email services. It was determined that for a 4 year period beginning in 2010, Ms. Clinton declined to use Smarsh or Global Relay and instead sent confidential client information to some guy named “ Ned “ (last name unavailable) in Colorado. The storage system of ‘Ned” was deemed unsecure, not archived and kept in his spare bathroom of a storage company. When contacted for these e-mails, he attempted to destroy or erase the server containing the e-mails sent by Mrs. Clinton. 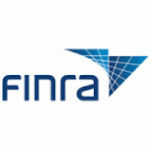 FINRA rules require that each email sent by a registered representative or its member firm must be stored in a non editable format and be easily accessible for a period of 6 years by the SEC and FINRA. Ms. Clinton may reapply after 2 years for association. Ms. Clinton has appealed this decision to the National Adjudicatory Council (NAC) on the basis that although she didn’t archive her emails, the emails were trivial in nature and merely contained personal information about her daughter’s wedding, her husband’s personal affairs and the names of our top spies in Syria and Libya. Eric Holder (Crd: Unknown) : Mr. Holder submitted an offer of settlement with FINRA in which he was fined $500,000 and permanently barred from associating with any member in any capacity. Without admitting or denying, Mr. Holder consented to findings that he may have sent an unknown amount of fire arms to drug lords. FINRA members firms are prohibited from having fire arms of any kind in their office, particular when FINRA staff is conducting an audit. In addition, FINRA found that Mr. Holder violated Rule 8210 and continually ignored requests for information, and On the Record Depositions. Rule 8210 provides that if a member does not provide information and documents requested in a timely matter that the individual shall be permanently barred. To date Mr. Holder has still not responded to multiple 8210 requests for internal documents and memorandum. His bar is in effect immediately. Barrack Hussein Obama (Crd: 18,152,809,942,589): Mr. Obama submitted an offer of settlement jointly and severally with FINRA today and was fined $1,000,000 and ordered to pay restitution of over 12,000,000,000,000 to investors in the USA and must re-qualify as a supervisor for his blatant use of the company credit card to pay for frivolous things unrelated to the running of the company. Mr. Obama consented to the findings that as CEO he allowed the member firm to continue to operate while being below the required Net Capital requirement. In addition, he consented to findings that he operated the company knowingly while using fake subordinated loans from a sister company (the Federal Reserve) and that he engaged in price manipulation of the bonds his company was selling in order to give perception of market demand. In its findings FINRA found that when Mr. Obama needed more money he would sell more bonds and if there was little demand for the bond at its current rate, the sister company would buy the bond for their portfolio to create the illusion of demand. Paul Ryan (Crd: TR8TER) : submitted an offer of settlement with FINRA today in which he was suspended as a Principal for a period of 2 years and fined $1,400,000,000,000 for misleading investors. Mr. Ryan exaggerated claims he made to balance the company budget, stop wasteful spending and to cap the company debt limit. FINRA found that despite claims made by Mr. Ryan, he did no such thing and instead increased the company debt limit by another 1.4 trillion. Mr. Ryan wrote a detailed balanced budget plan for investors in 2011 but upon being elected to a supervisory position, he worked with a zealot CEO to increase the company debt limit. His suspension will begin immediately as Mr. Ryan has indicated he will not appeal to the NAC for fear of losing moderate and independent investors. Bernie Sanders (Crd: 90) Mr. Sanders submitted an offer of settlement with FINRA today ,was fined $50,000 , suspended in all capacities for 2 years and ordered to pay restitution to investors. Without admitting to the findings, Mr. Sanders consented the FINRA findings that charging 90% through a pass through fee or tax was a violation of FINRA and Federal Usury laws that state Interest rates/Fees of more than 25% in some states and as much as 45% in other states are punishable as a 3rd degree felony. FINRA found that Mr. Sanders was trying to charge investors as much as 90% on loans of $250,000 or more. As such he violated FINRA’s 5% commission guideline as well as violated federal and state statutes. This might be the most clever post you have ever done!!! I can’t stop laughing!